Ocean View resident Marie Knox will celebrate her 103rd birthday on Saturday, Sept. 3. Knox was born in the Dagsboro District. 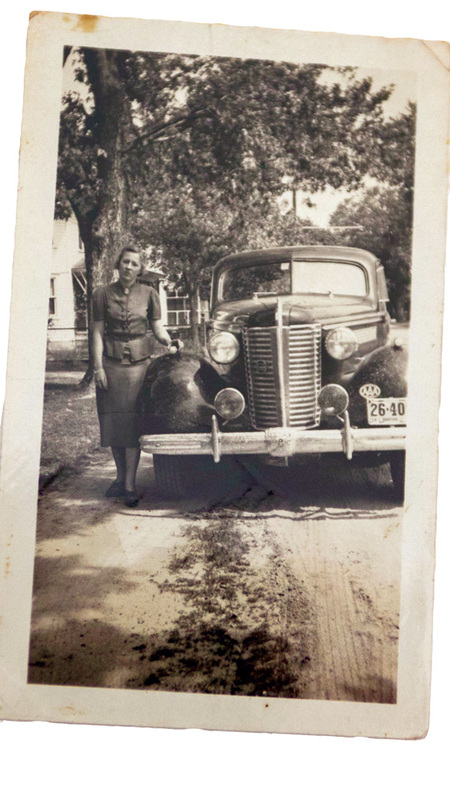 A photo of Knox, in front of the family car at their home. The Knox family retired from the poultry industry, tore down the family chicken houses, and opened the Summer Place Motel in the 1970s. The motel was located on Jefferson Bridge Road in Bethany Beach. In 1915, Woodrow Wilson was well into his first term as president of the United States, the U.S. House of Representatives rejected a proposal to give women the right to vote, Babe Ruth hit his first career home run, and Ocean View resident Marie Knox was born. “I was born in Sussex County. It was called ‘Dagsboro District,’” recalled Knox, who will celebrate her 103rd birthday on Sept. 1. Knox was born to Lewis and Marella Lathbury, who were also Sussex County natives. Knox said the family farm predominantly grew vegetables, but they also had a few animals as well. Aside from growing food for the animals, they also grew food to sustain the family. Knox, who also had two older sisters, said the girls would help their mother tend to the farm. For fun, the girls would swim in the river next to the farm. Knox attended the Blackwater School, a two-room school house near Clarksville. Knox said she and her sisters walked, “about a mile or so” to school when they were attending Blackwater; however, when the school consolidated with Lord Baltimore, they rode the school bus. Knox graduated high school in 1933 — she was part of the first class to graduate from the new Lord Baltimore School (the original section of which is the center portion of today’s Lord Baltimore Elementary School). Many summer days were spent on the boardwalk in Bethany, recalled Knox. “When I was in my late teens, my dad would drive down there three times a week,” she said. “We dressed up fine — not like they do now. The best we had, we would wear. We used to wear heels, and we’d walk the boardwalk. Knox went on to marry George W. Knox, another Sussex County native, who also had attended Lord Baltimore School. George Knox was a man of many trades, having worked on a boat, and been a farmer and business owner. Together, they had four children — Judith, Mary Jane, Roger and Arlene. Her family lived in Bethany Beach, on Jefferson Bridge Road, near where the Holiday Inn is currently located, and experienced both the Great Depression and World War II. “We had to put curtains on our windows because of the submarines that may be offshore,” added Knox’s daughter Mary Jane Townsend of World War II. “We was right down to the beach. We couldn’t have any lights showing out through the windows,” added Knox. In those days, Bethany residents were few and far between — so everyone knew everyone. Townsend said her childhood, growing up in Bethany, was rather idyllic. “When I was growing up, the Army used to be here year-round. My dad and mom would take us to the movies in Rehoboth — we had nothing to do but go to the movies,” Townsend said. “And a lot of the Army men would be hitchhiking just to get to Rehoboth for action. “My oldest daughter was living in Ocean View at the time. I had to take a truck and leave Bethany Beach and go stay with her during the storm. Arlene was a little girl then,” added Knox. Eventually, the family got out of the poultry business and opened the Summer Place Motel in the 1970s. 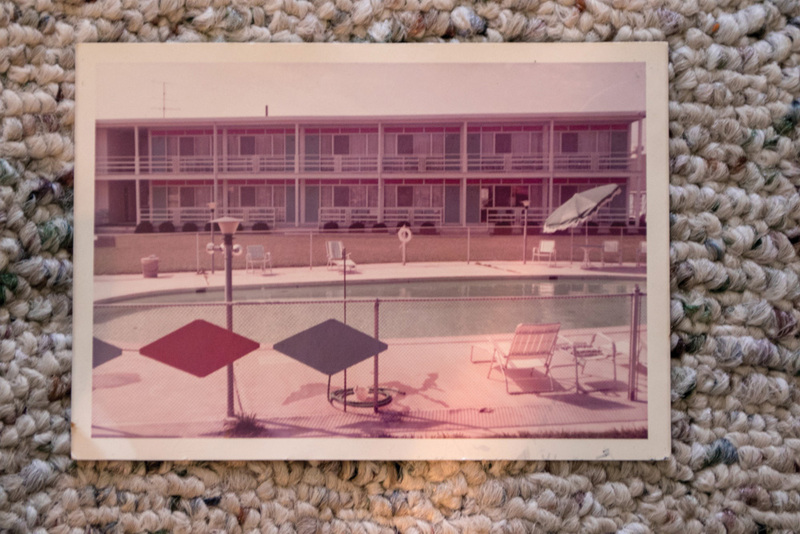 The family operated the motel until the early 1980’s, when Knox sold it a few years after her husband’s passing. She then began traveling the world. “She would travel with some of her lady friends, and then my sister and her husband some,” added Townsend. Knox has traveled throughout Europe (“I’ve been to Switzerland twice.”), South America and beyond. “I haven’t been to all the states yet, but I’ve been to several,” she said of the U.S.
Knox said her favorite country to visit was Israel — noting her time spent at the Dead Sea and Masada Desert. “She was baptized again in the River Jordan,” added Townsend. These days, Knox has retired her suitcase, instead devoting time to root for her favorite sports team — the Baltimore Orioles. “She is the No. 1 fan of the Baltimore Orioles. She doesn’t miss a game. She knows more about the Orioles than the coach does,” Townsend added. Knox also spends her time watching “Judge Judy” and reading her Bible. “She loves the Lord. Still goes to church when she can,” said Townsend, noting that Knox is a member of Ocean View Church of Christ. “If you’ve never been, try to go over there sometime,” she added of the church. 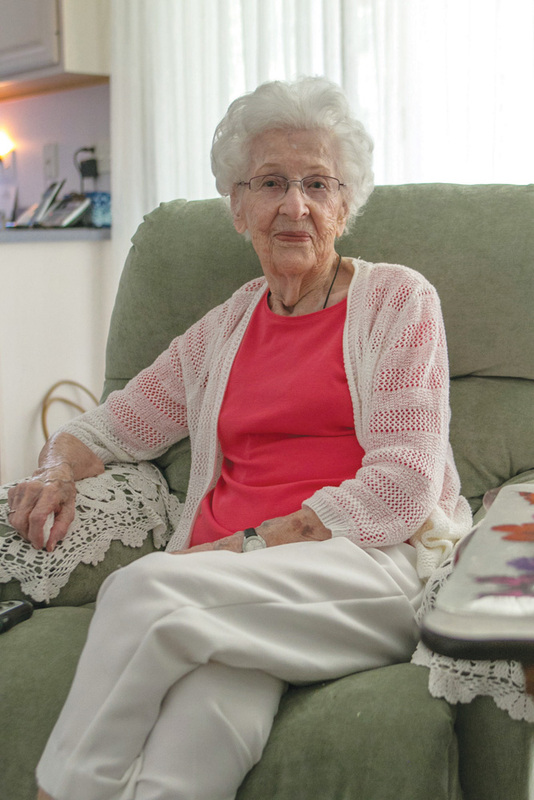 With age 103 just around the corner, Knox said birthdays were never a big to-do when she was growing up, and she doesn’t plan to have a big party to celebrate. “The kids and I usually go out for dinner on my birthday,” she said. “She doesn’t want a party. She just wants us kids to go to dinner with her,” said Townsend, noting that the family threw Knox a big 80th birthday party. Family is important to Knox, who said “being a good mother” was how she was successful in life. Knox said she has lived a lot of life and could fill a whole book with stories. “You could send someone around. I’d have to have a ghost-writer,” she said. As for Knox’s secret to a long and happy life?